At a critical time when our company was in need of North American marketing and industry intelligence, Marsha was able to immediately jump in with both feet to fill that gap. We were referred to Marsha Diamond Consulting (www.marshadiamond.com ) by a trusted colleague and we are so grateful to find that the specialized skills and knowledge we needed to be available in one package. Marsha provided us with: sales coaching, identified potential opportunities, market advice, digital media strategy and execution, product analysis, product positioning, competitive product comparisons and set in place short term and long term market penetration strategies too. She was instrumental in helping us increase our US presence and also worked with our global web site developers on content and visuals. “I always find your seminars very interesting and you are so knowledgeable. Your super-charged approach to existing issues takes a big step forward in dealing with today’s professional challenges and environment. “Marsha has the sales & marketing insights that flow naturally — while exploring a need or challenge she is always “on”. She’s a strategic thinker drawing from impressive experience to implement concepts. Her management, planning, execution and unique contributions really come through in professional association work where we’ve worked together for event presentations.” – Lauren Swann, MS, RD, LDN, Nutrition Communications, Food & Nutrition Labeling Consultant, Writer, Registered Dietitian, FoodFactsWork. 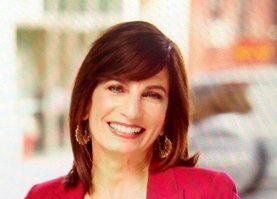 “Marsha is an incredibly dynamic speaker who captures and captivates an entire room. She always has a commanding presence but this quality especially resonated during her presentation as she discussed the veteran and baby boomer generations. Marsha’s creativity, resourcefulness and attention to detail made her presentation a huge success. Colleagues still tell me how much they enjoyed this presentation, and were able to apply what they learned still today and this is 4+ years later.” – Jaime Schwartz MS, RD, Account Supervisor, Ketchum, NY. “We hired Marsha to present on behalf of the Clinical Nutrition Management Practice Group. Marsha’s presentation was effective in getting the message across in a clear concise manner. It was humorous, entertaining and led others to make changes effectively.” – Susan DeHoog, Associate Director-Food and Nutrition, University of Washington Medical Center, Past President of Clinical Nutrition Management Practice Group.